Today, we venture the furthest south we will go in our explorations. At one point we'll be just 13 kilometers from the US border. And what a destination it is! This is Canada's premier wine region, nestled in the broadening Okanagan Valley. 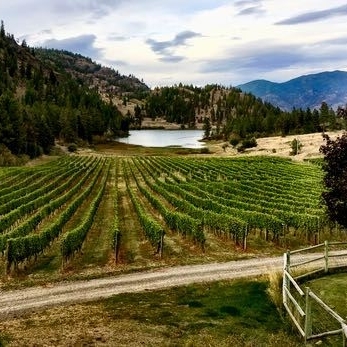 We'll start up near Green Lake at Nighthawk Vineyards and ride down through the Okanagan highlands, following Black Sage Road then riding the Channel trail back to Oliver. A majestic old pine tree stands in our vineyard: Le Vieux Pin. It speaks to the earth and rain and the clean clear air of the South Okanagan. Here we have created a winery paying homage to the great personalities and wines of France. Our goal is to make wines that capture the essence of French winemaking tradition, but with the fruit and character of the New World. We are dedicated to making wines that are elegant and focused, with great intensity of fruit. The pine tree stands alone. 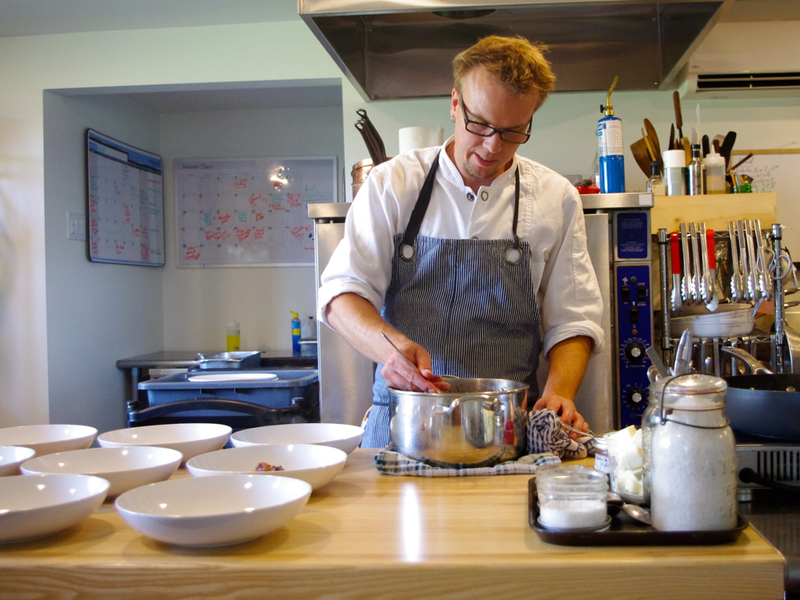 The Chef's Table is one of our flat-out favourite dining experiences in the Okanagan. Menus are developed and enhanced by Chef Chris Van Hooydonk’s extensive culinary industry experience. Chef’s food philosophy encompasses the approachable side to healthy eating and farming, with emphasis put on sourcing the freshest and organic when possible, highest quality, seasonal and sustainable ingredients. Importance is put upon supporting the local, dedicated farmer’s and producers in the area which share his passion for food.